As a homeowner, there are few things that can disrupt the overall flow of your home, no pun intended, like a clogged drain. Every time you flush the toilet or turn on the water in your sink or tub and that water refuses to go down or, worse, decides to come back up the drain with debris, it can be a nightmare to deal with. While one drain or toilet is bad enough, if you notice a similar situation happening throughout your home, it might actually be a sign that the issue is actually with your main sewer line, which can be a much more serious problem. 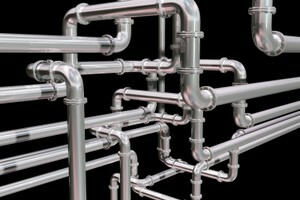 There are a number of different ways that you can have a plumbing professional come in and help you solve the issue at hand, and one of the most effective happens to be hydro jet cleaning. While hydro jetting is easily one of the most powerful and most comprehensive drain and sewer line cleaning options out there, it isn’t going to be necessary in every situation. To help you identify when hydro jet cleaning is an option worth turning to, our team of professionals have taken the time to put together this short list identifying a few of the situations where hydro jet cleaning can be a real life saver for you and your plumbing system. While over the counter chemicals and snaking are effective solutions for minor clogs and local blockages around your drains, they simply aren’t up to the task of taking care of some of the more stubborn blockages that tend to build up in your pipes over time. With hydro jet cleaning, however, the combination of highly pressurized and hot water can get rid of the most stubborn blockages, completely clearing your pipes and leaving you with a plumbing system that flows like new in no time at all. If you think that oil or grease build up is likely at the root of your problem, hydro jet cleaning is likely going to be the most effective way of dealing with the issue. Most chemical cleaners just aren’t strong enough to remove built up oil and grease, and snaking these drains might well let them start flowing again for a while, but it isn’t going to solve the issue. With hydro jet cleaning, however, all of that built up oil and grease will be completely blasted away, not only getting rid of the clog, but also getting rid of any lingering build up on the inside of your pipes that might cause you problems down the line. While hydro jetting shouldn’t be confused with a landscaping service, hydro jetting is an effective way to clear out any tree roots that might have invaded your sewer lines and started causing you problems. Invasive tree roots are actually a more common issue than you might believe, and if your plumbing lines run anywhere near the trees around your home, there is a very real possibility that your plumbing issues stem from these roots working their way into your pipes and blocking them up. In these types of situations, hydro jetting will blast clear these invading roots, unclogging your pipes and helping to prevent the issue from arising again in the future. 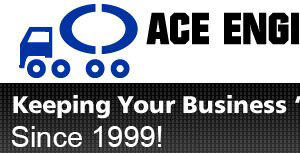 Contact our team at Ace Engineering Inc today!